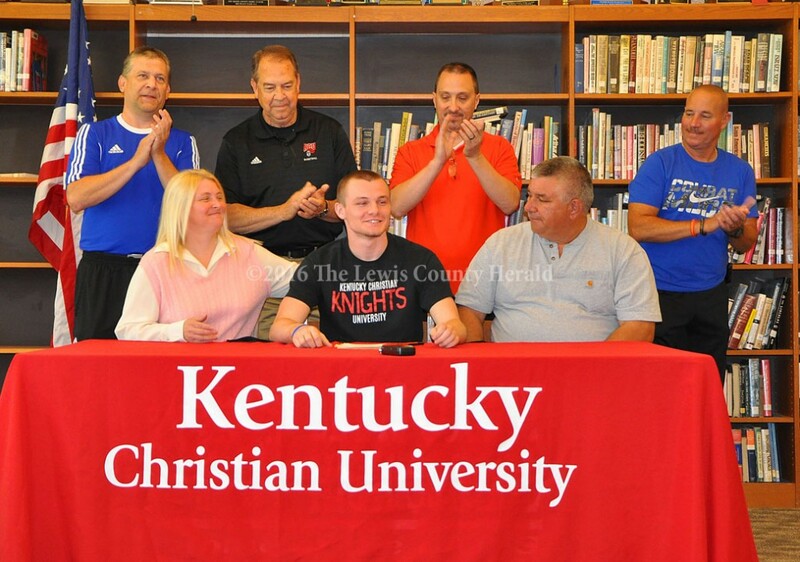 LCHS basketball standout Trenton Walker signed a letter of intent to play basketball with Kentucky Christian University at Grayson. The ceremonial signing took place Tuesday at Lewis County High School. First Team All EKC, left to right, Jake Parker, Jacob Kiebler, Trenton Walker, Abby Pick and Jaycey Fite. Three Lions and two Lady Lions were named First Team All EKC in a recognition ceremony this week.